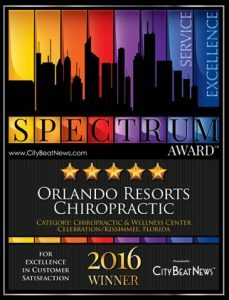 Orlando Resorts Chiropractic is the home of our chiropractor Dr. Bret MacDermott. Our Orlando chiropractor and our entire health team welcome you to the healing benefits of natural chiropractic care. At our Orlando chiropractic clinic, you will find the encouragement, support and health care to help you reach your wellness goals. Whether you are seeking pain relief, injury recovery, weight loss or an increase in energy, our chiropractic team provides the services and techniques you desire. Our chiropractic care plans are a drug-free way to eliminate pain and increase energy. We rely on the body to restore itself when the spine is in balance. Chiropractic adjustments- our chiropractors gently position your spine and joints to eliminate nerve pressure and pain. Kinesio Taping- our Orlando chiropractor uses stretchy tape to support muscles as you recover. 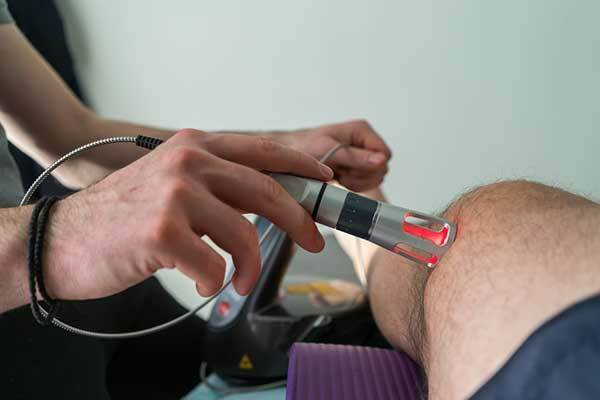 Laser therapy- for pain relief in Orlando residents, our chiropractors may use a low-level laser to stimulate healing. Nutritional support- our chiropractor in Orlando makes suggestions on which foods and supplements will benefit your recovery. 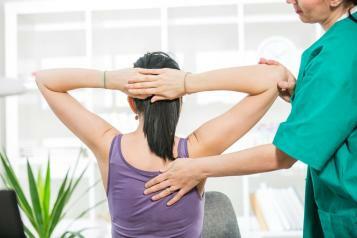 Massage therapy- this service at our Orlando Chiropractic clinic reduces muscle tension and scar tissue. Medicupping- along with massage, our health team may use a cupping technique to remove toxins and scar tissue. Orthotics- our chiropractic clinic in Orlando also provides orthotics if your discomfort is caused by a foot abnormality or imbalance. Our chiropractor in Orlando Fl invites residents of Orlando and the nearby communities of Kissimmee and Celebration to visit our center for healing. Our alternative health care plans are personally chosen to match your current condition. Our chiropractors adjust your plan as you begin to heal and your body starts to restore balance. Our health team also makes suggestions regarding your daily activities so you learn better ways to organize your work station and protect yourself while lifting heavy objects, sitting, exercising and sleeping. We encourage exercises to support a healthy posture while stretching and strengthening your muscles. Along your chiropractic journey, you have the support of our friendly staff at Orlando Resorts Chiropractic Medspa. If you are new to the area or new to chiropractic care, we welcome the opportunity to educate you on the value of our alternative plans. If you are struggling with pain, muscle weakness, a new or old injury or want an overall improvement in your health, our Orlando chiropractor has the skills you need. Our services are beneficial for your entire family, so please call us to schedule your appointment today. We can be reached at (407) 507-6976. Dr. Bret MacDermott has been a Board Certified Diplomat for 36 years, mastering all major and modern techniques. He has been a contributing member of the Washington State Spinal Institute (a multi-discipline medial advanced research team comprised of Neurologists, Radiologists, Orthopaedics's, Physical Therapists and Chiropractors). 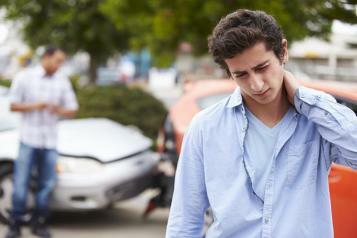 Persistent pain from underlying health conditions or injuries can seriously affect your quality of life. When you cope with discomfort on a regular basis, you might find it hard to go about your daily life or participate in sports or recreational activities. Cold laser therapy in Celebration provides an opportunity to address specific health concerns without using invasive treatments or tools. Even in the modern era of “high-tech” medical options, the human touch still numbers among the most powerful and effective approaches to healing. This is true not only for spinal adjustments but also for that time-tested method known as massage therapy. 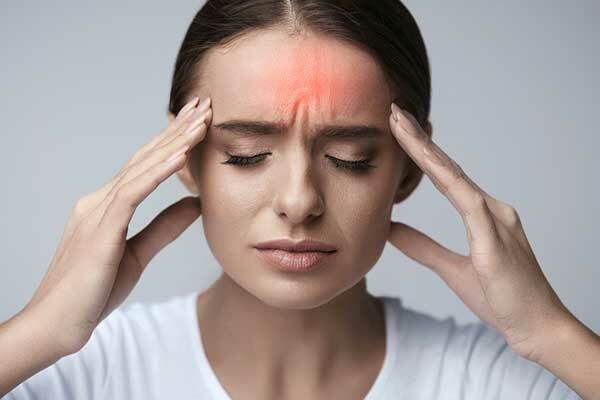 Car accidents can cause a range of other unpleasant symptoms as well, including pain in the back and spine, numbness or tingling, discomfort or pain in the extremities, headaches, and migraines, and more. Injuries are common in many favorite sports, including football, soccer, softball and baseball, volleyball, track, martial arts, and more. Sports injuries can be painful and debilitating, and often require extensive and lengthy treatment to resolve. Although some of the patients who visit our Orlando Resorts Chiropractic experience these disorders periodically, our Celebration chiropractor notes that these problems are chronic for others. I just love coming here! The drs are great and completely understanding. They both want what is beat for the patient and are always willing to help. The massage therapist are amazing! They know how to use touch to truly help you heal. The office staff are so helpful and kind! I’ve had nothing the best experiences visiting and highly recommend them to everyone I know! I’ve been going here since 2013 the staff is wonderful the Doctors are amazing I won’t go to any other place. They even call to do a follow up. I highly recommend it. I love this Place! Great staff, knowledgeable doctors and therapists! I have recommended this to several friends who have all loved it! Absolutely love this team!! I have been seen by both of the dr's and they are both so welcoming and personable. They also do prenatal chiropractic work and adjustments on infants! I trust these doctors enough to not only adjust me, but also my son. Also love that they are always right on schedule - no waiting around! And that you get an incredible massage after the adjustment! I will continue to recommend this office to each every person I talk to! Great job!! !